So who does Batman call when the Tumbler breaks down? 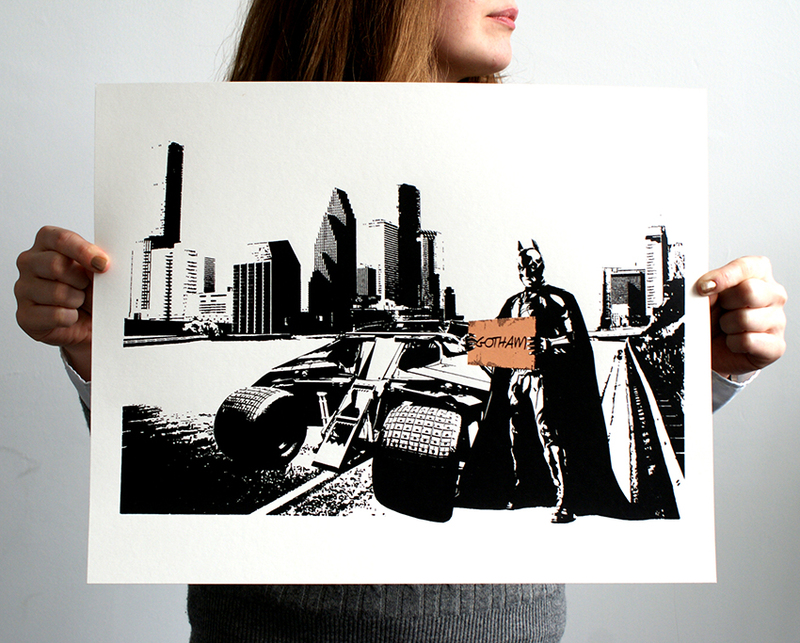 A little tribute to a great trilogy of Batman films by Christopher Nolan, enjoy! This 2 colour hand pulled screen print measures 43cm x 34cm (approx) and is printed on acid free 315gsm Heritage art stock. Each print is signed & numbered and is strictly limited to an edition of 150 so as always once they’re gone they’re gone. Posted in Prints. 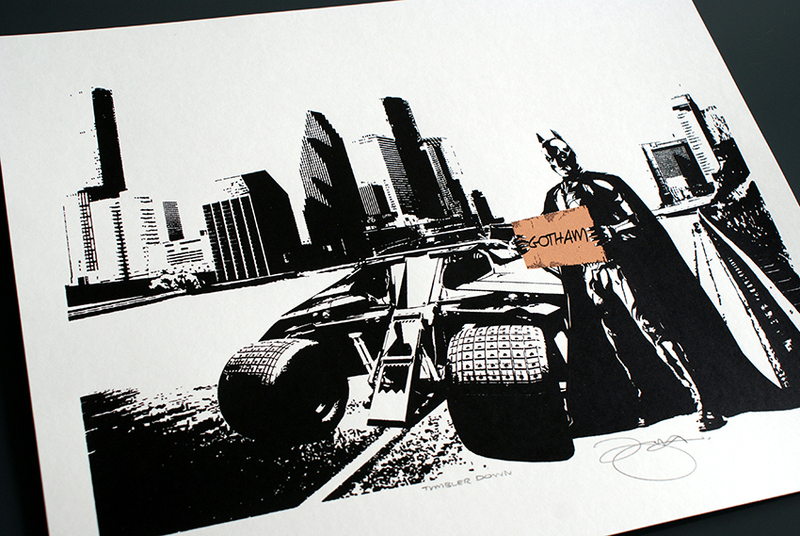 Tagged with Batman, Black, Brown, Bruce Wayne, Christian Bale, Christopher Nolan, Gotham, Super Hero, Tumbler.